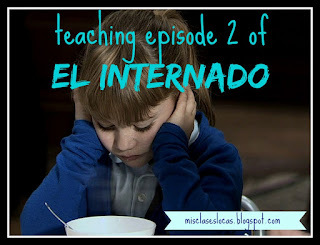 For more myself than anything I want to put together all of the best resources that people have shared for teaching the show El Internado: Laguna Negra. Here was my plan for Internado episode 1, and today I will be sharing what resources I used to teach episode 2. As I have mentioned before I bought the entire series on EBay, but it is currently also on Netflix. We watch and discuss in my Spanish 3 & 4 classes on Fridays with Spanish subtitles. We go pretty slow at the start, stopping Movie Talk style to discuss, retell and do comprehension and extension activities. The holy grail of El Internado activities can be found on Mike Peto's blog. Here is Mike Peto's complete guide to episode 2. There are many power points to introduce target structures, which should be used to pre-teach before watching. Also, Dustin Williamson created 4 super Graphic novels to accompany the episode that should be use Before watching the scenes mentioned. Here was what we used this year for episode 2, which took 3 hour long classes. *We did not use it this year but another great resource is the Episode 2 Reading Guide by Kara Jacobs. episode 2 review activity - Students read and complete the missing information as reading practice and to review the content. 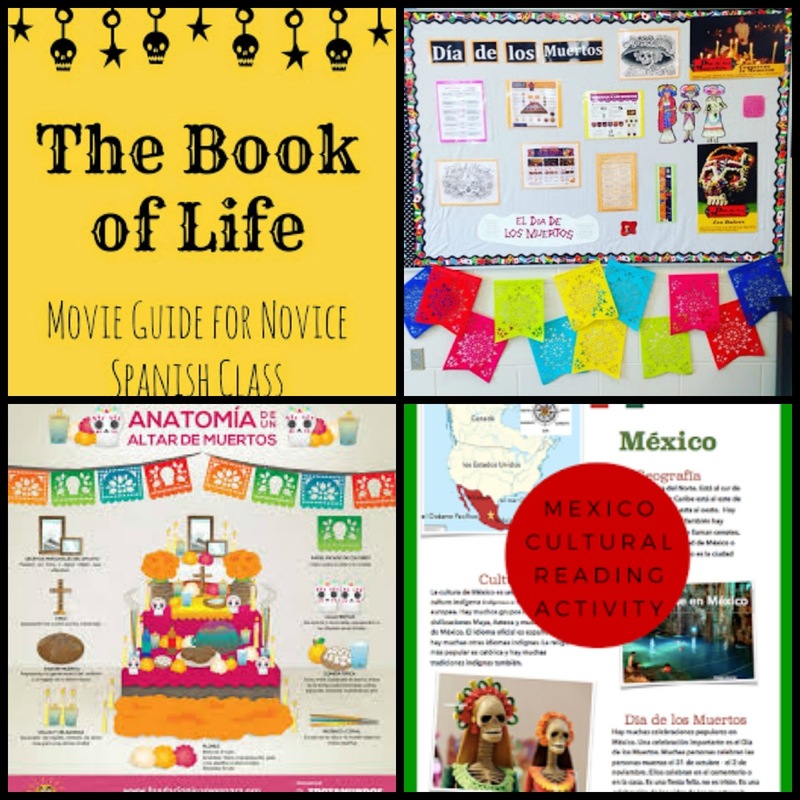 Do you have more resources for El Internado? Please share in the comments! 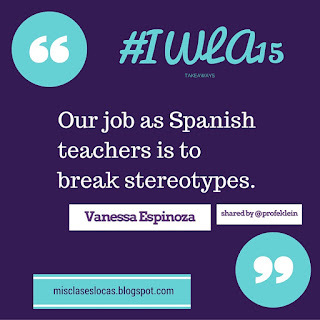 Spanish 3 is just starting a unit on immigration using the novel Esperanza by Carol Gaab. This group is new to novels, so we are starting easy to build confidence, while digging into complex ideas in Spanish, such as immigration and poverty. Here is my post from last year about teaching the novel Esperanza. 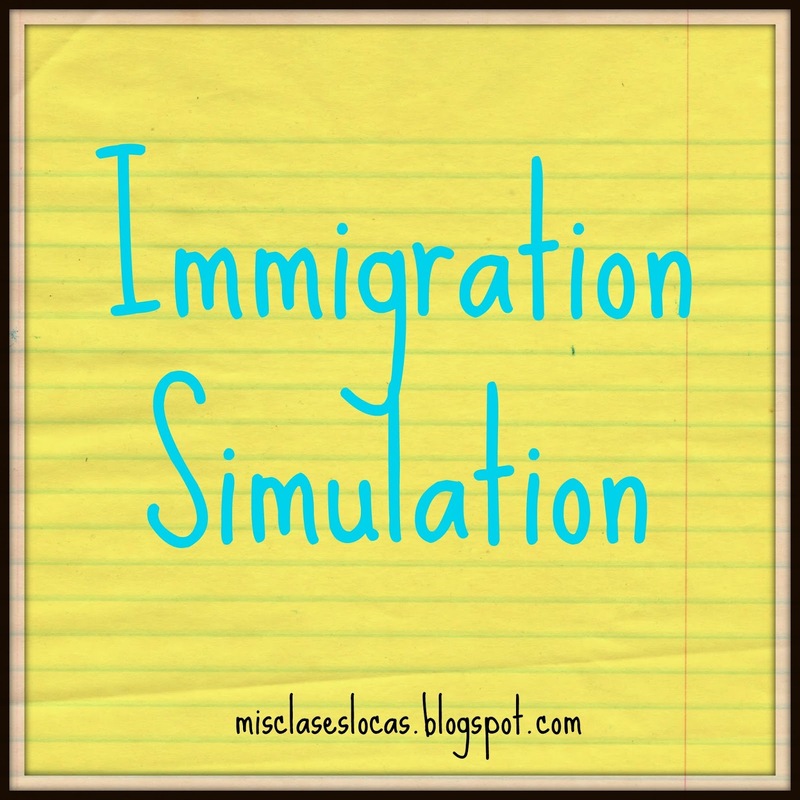 This immigration simulation would also be great before starting the novel Cajas de Cartón. Last year at #CSCTFL15 I was at a session (ok multiple sessions) with the wonderful Carrie Toth @SenoraCMT. She brought up a simple but powerful way to get students to really start thinking about immigration, and has given me permission to share it here. The basic idea is to divide students into two "countries," such as the United States & your country of study. Those in the "United States" are given comfortable accommodations, including food and technology. Those in the other country have nothing. This could also be used to exemplify the refugee crisis in Europe. 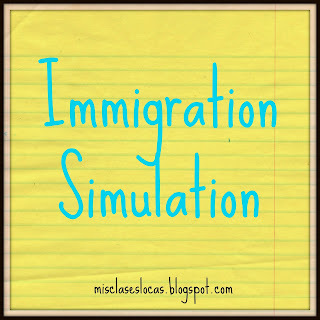 This small simulation leads to discussions in the target language about immigration. Print large flags or signs for each "country" you are representing & post them in two distinct areas of the room. 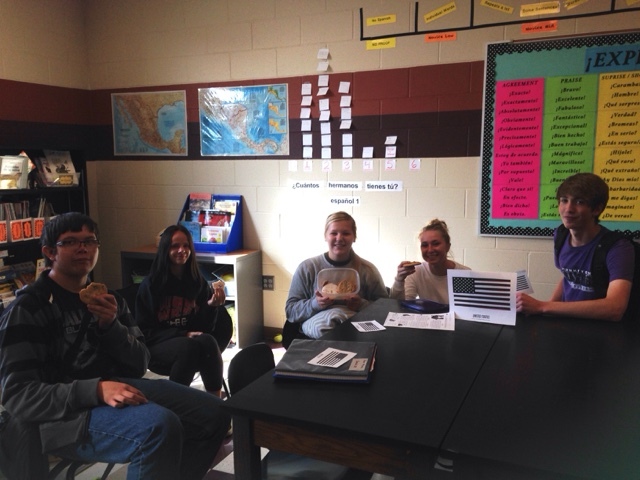 U.S. - In the comfy corner with donuts, cookies or another snack. Guatemala - On the floor & everything they have, phones included was put in the back of the room to simulate having nothing. Print small flags or names of countries to hand to students as they enter class. Hand these out at the door to randomly divide the students into two groups. Post instructions on the board, like those below. (I know that these are in English, but this way students could quickly see their directions, without getting confused by the language. The goal of the lesson was not I can understand directions in Spanish, but instead the bigger picture simulation). 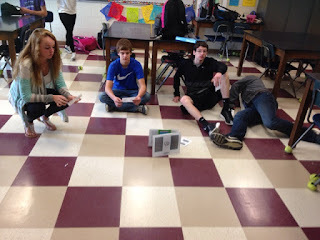 Have a class discussion in the target language. Ask each group how they are feeling. Those chowing down on snacks in the US think everything is great (except maybe some tenderhearted souls who feel bad and want to share. Bless their hearts:) This brings up WHY the student would personally want to leave their country and move to another (food, clean water, more opportunities, jobs.etc). For many students they do not have the prior knowledge to put themselves in the position of an immigrant and this provides that background experience. Continue the simulation as long as you see fit. I only used it as a "hook" and then let everyone have a cookies, but it could be continued throughout reading as well. Later when reading as a class you can then reference this small simulation, reminding students that the character is risking everything to immigrate, for some of the same reasons they wanted to immigrate to the other "country" in class. Enjoying the luxury of the U.S.
upset and hungry in "Guatemala"
Here are other things we have done so far in our unit before starting Esperanza. Students completed a reading activity to learn about Guatemala by Martina Bex - La Geografía de Guatemala. As a class we completed a song activity by Sharon Birch for the song Ave Que Emigra by Gaby Moreno, which shows scenes of Guatemala and has themes of immigration. **New this year we watched the hour long documentary Living on One. It is in mostly English, but it takes place in Guatemala and really made students think about the extremity of the poverty that many people live in. I presented a Student Slideshow made by a former student that went on a mission trip with the International Samaritan organization in Guatemala in the summer of 2014. Which Way Home - We are currently watching this great documentary about child immigrants from Central America. Last year we watched it after reading, but I think it is even better before the book, since it gives a great visual image of the lives these children have in Central America and the treacherous journey the endure for the chance at a better life. Check out this post about why I would recommend using the English subtitles to get the most out of the movie. What do you use to talk about immigration? 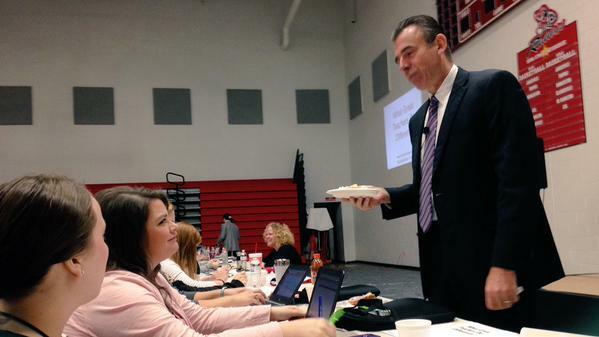 Today our school had the great privilege of hosting educational author and speaker Todd Whitaker. This post was original going to be a book review for, What Great Teachers Do Differently, but now that he has presented, it will be a combination of what I learned from him in person, and from the book. If you would like to find more about him, check out his website and join his 63,000+ follower on Twitter @ToddWhitaker. First of all, it was pretty neat that as a tiny school that plays 8 man football with graduating classes around 35, there were over 350 teachers from across Iowa in our gym today. As the hosts we were front row, meaning we heard personal stories from Todd and got our books signed like fan girls. If you ever get a chance to hear him speak in person I would highly recommend it, since this was the best school wide PD I have ever been a part of. You can find his handout here and check out #wgtddunk on Twitter to see what stuck with us. In the book What Great Teachers Do Differently, 17 items that matter most for effective teachers are addressed. If you would like to see them all in detail, you should read the book! I have so many takeaways, so I will just address a few key concepts that I would like to implement moving forward this year and beyond. 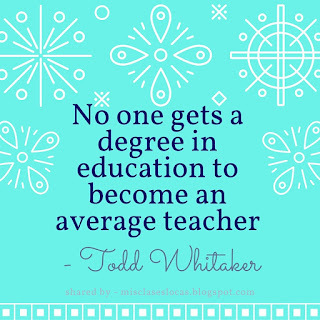 No one gets a degree in education to become and average teacher. Be Great. Be the kind of teacher you would want to send your own children to. For these students this is the first time around. Care & Try. Make it cool to care. It is people, not programs. The quality of the teachers determines our perception of the quality of the school. It is never about programs. Acronyms will come and go, but great teachers will carry a school forward for years to come. 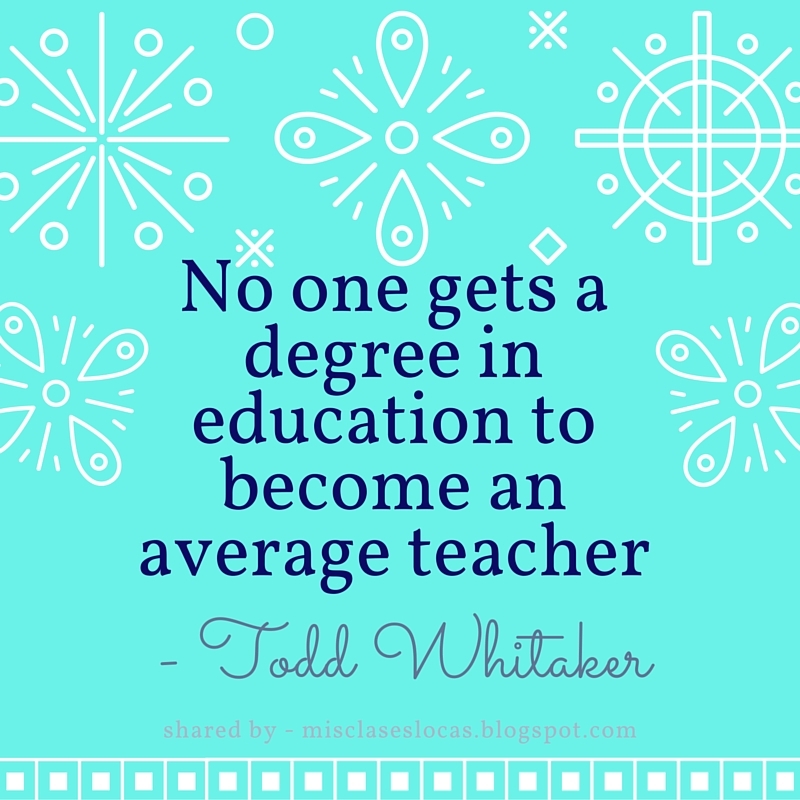 Great teachers do their jobs and do them well. They adapt to change without loosing sight of what really matters. The most valuable gift a leader can give others is confidence. Greet your students every time you see them, every single day. This might be the time that matters. Treat every student as if they are good. If you expect respect, you must give it 10/10 days to every student. If you want better answers, ask better questions. Look in the mirror if you do not get the result you had hoped for. Stop the blame game. In a great teacher's classroom nothing a random. It can seem random to students, but everything is planned. 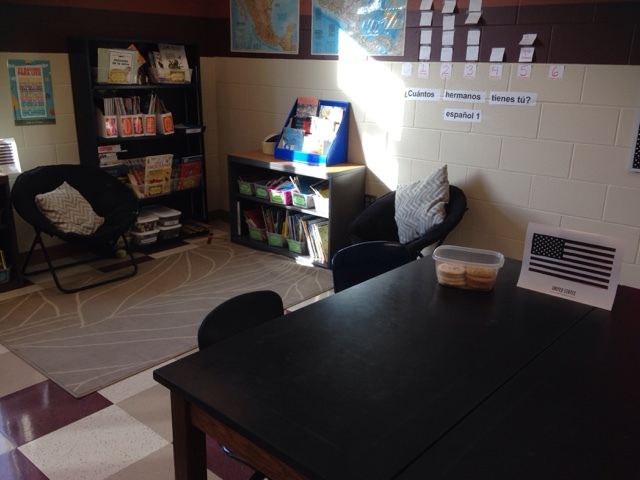 Overall, I loved the positive approach to teaching and running an effective classroom. One of the biggest struggles for many teachers, especially those who are new is classroom management. I loved Todd's reference that it is all about having "class." The only variable we can control is ourselves, in how we plan and how we react to situations. The key word was to Ignore (but to be confused with avoid) undesirable behaviors. Students are looking carefully to how we handle any disruptions. The key is to "shift the monkey," so we are not holding the burden, but rather the students are. Approach negative people by "sidling up" next to them, which gets rid of the false barrier of a line in the sand such as a table or desk. One example of behavior management was after a student acts out, hand them a blank sealed envelope with paper inside that must be delivered to another teacher. 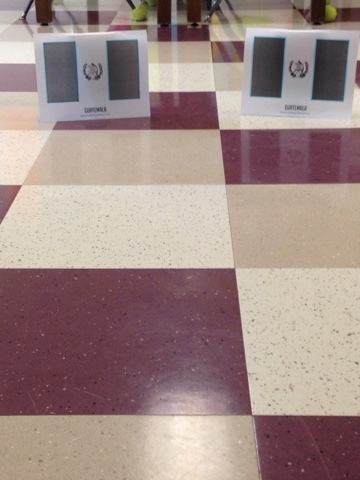 As they return, catch them privately in the hallway to talk. This gives both the student and teacher time to cool off and think, and gets rid of any audience to address the situation. Remember, as a teacher, you do important work. It is not the hours that we put in that wear us down, but rather the intensity of our job. We put our hearts and souls into our students and teaching day after day, but it is exactly this EFFORT that makes a Great teacher. We have a choice when we walk in the school each day if we are going to hide behind our desk, or if we are going to enthusiastically greet every person we see. What choice will you make? As a #deptof1 (department of one), the best part of conferences for me is the chance to talk with my virtual PLC and colleagues I wish I worked with everyday face to face. If you are still hesitating on joining Twitter and participating (or even lurking) in #langchat, DO IT! 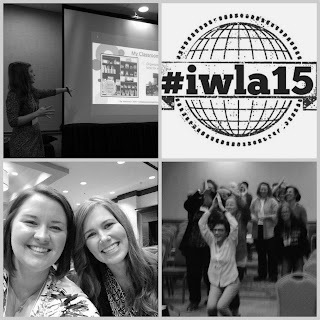 Flashback to three years ago at my first #IWLA conference at the start of my second year teaching. It the time we had just gotten new textbooks that I was tied to at least (loosely) following. I devoured blogs, but was a passive online observer, just taking, as I did not feel I had anything worthy enough to contribute. As a department of one I came alone, stayed with a friend and just quietly attended sessions. I chatted with former classmates from college, but other than that, I showed up, tried to absorb some knowledge, and then left to eat with my non language teacher friend who lived in town. I had no idea I had barely scratched the surface of a conference experience. **Enter my online #langchat PLN. This year my conference experience was SO MUCH BETTER. Even though I drove and came alone, it was a like coming to a reunion with many people I had never actually talked to face to face. Since we had chatted and shared resources and ideas online, it was like catching up with old friends. Having an online presence, as well as presenting, gives people a reason to come up and talk to you! Also, live tweeting the event using the hash tag, connects you even more to attendees. You may find yourself looking at the person next to you in a session and realizing, oh! you are @SenoritaGeorge! Two years ago I would have never guessed that I would have multiple conversations with a keynote speaker (who called me mis clases locas). 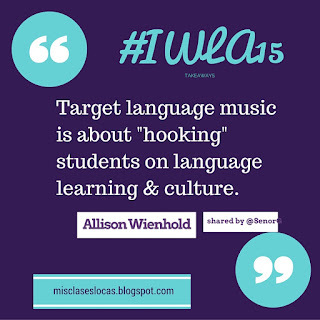 Before the conference, join Twitter and participate in #langchat or another chat related to your interests. Present at the conference! Even if you are a new teacher you have a voice that should be heard and ideas that need to be shared. Read the conference hash tag and connect with those people in person while you have a chance. Attend the social gatherings of the conference and chat with someone new. (This is how I casually met a teacher who lives in my town with young kids as well. We exchanged phone numbers with the plan to set up a summer Spanish story time/play group for our bilingual babies). Enter raffle drawings & you may come home with swag. (I was on fire with Fair trade booth & Target gift cards and an IWLA T-shirt). Do not be intimidated by anyone, we are all teachers. Talk to your presenters, keynote, and bloggers you follow and tell they what you think and ask questions. What advice do you have for attending conferences? As you can probably tell from my obscene amount of tweet the last couple days, I spent my weekend at the Iowa World Language Association Conference, better known as #IWLA15. I tweeted so much that I won a prize, so check out #IWLA15 on Twitter for some free PD from your couch. Also, check out the #iwla15 - 2015 Conference Presentations Pinterest Board and follow IWLA on Pinterest. You can find my presentations and handouts on my Presentations Tab. Thank you to everyone who came to my sessions, especially my fun group who really got into the ketchup song for #baileviernes! I am very humbled when people tell me thank you for sharing on this blog, because I am just trying to pay it forward. My favorite part of the conference was just sitting down and talking to the people that I tweet with everyday. Coming to a conference alone is so much more fun, when you can finally meet the people you have been connecting with online for so long, including our keynote speaker, the very easy to talk to @SenorG. I have so may takeaways that I am sure there will more posts to come this week with additional reflections and ideas as I decompress from this past weekend. 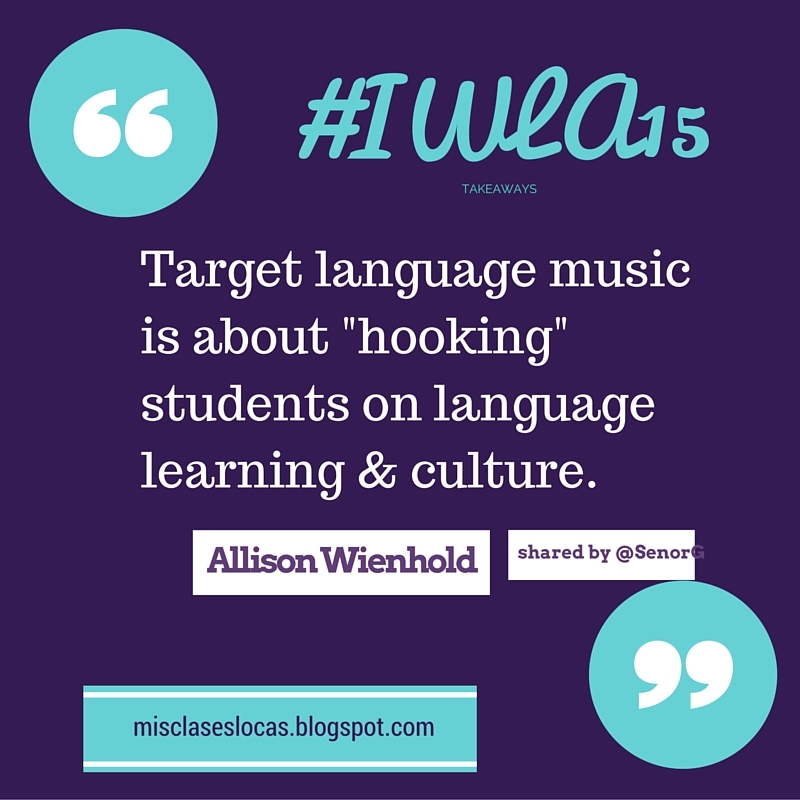 Thanks to the idea from Muscuentos, here are five sound bytes from #IWLA15. Keep learning and growing every day! Language Association) conference today. Follow along with #IWLA Friday & Saturday on Twitter for some PD from your couch (or classroom). Our keynote speaker is 2013 ACTFL teacher of the year Noah Geisel and I can not wait to learn from him and and all of the other great presenters and world language educators. As a department of one I live for the face to face language teacher interactions and sharing. If you happen to be here in Des Moines I will be presenting two back to back sessions and I would love to see you there! Get ready to dance as a part of this revamped *All Star Session from last year. Please do not be like the lady last year who stated "I don't dance." As a part of my 2014 IWLA grant to buy books in Spanish for my classroom library, I agreed to share what I did with the money. There are a whole buffet of ideas to incorporate reading books and novels in the classroom. To see the presentations and handouts from IWLA 15 please go to the Presentations tab or click this link. Also, in honor of #iwla15 everything in my TPT Store will be 20% off Friday & Saturday. Yeah for language teacher conferences! It has been a while since I posted a lista lunes, so now that it is officially October, it is the perfect time for some of my favorite Day of the Dead resources. Here are some past resources I have used, as well as some new finds for this year.